DR MANHATTAN: (The Giant Neon Blue Guy In The Room) FLASHPOINT #1 (DC) What would you do if you woke to find the world had changed overnight and it’s now a few seconds to war? While Barry Allen races to find the culprit, my man Cyborg steps forward in a spotlight stealing role that should (hopefully) net Vic his own book! RORSCHACH: (The Independent Voice) SUPER DINOSAUR #1 (Image) I can’t decide what's cooler. 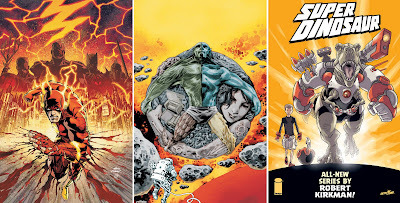 A) this new title by writer Robert Kirkman, B) The names; Derek Dynamo, Super Dinosaur and evil Max Maximus or c) The worlds hope resting with a 10 year-old and his mate, a T-Rex. Whatever happened to D) All of the above? NITE OWL: (The Dependable Goodie) JOURNEY INTO MYSTERY #623 (Marvel) Ever since Alex Ross’s oversized DC villain specials got shot down, I've been thirsting for a series based on tales of rotating rouges. 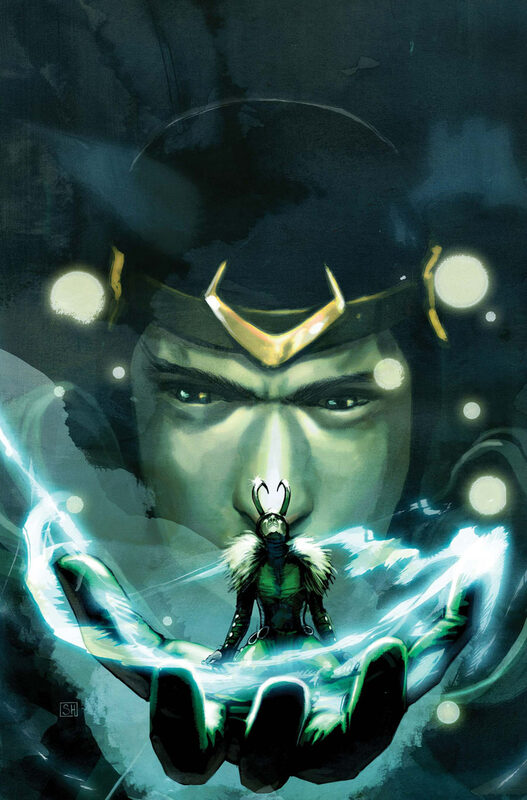 While this isn’t that book, a whole issue dedicated to Loki's return is a great compromise. The first to discover the truth behind Marvel's Fear Itself, the power crazed trickster finds no one heeds his call to arms. A decision all may soon regret. THE COMEDIAN: (For Mature Readers) STRANGE ADVENTURES #1 (Vertigo) Vertigo has been the leader in the field of a good adult yarn, pretty much since the label was invented. 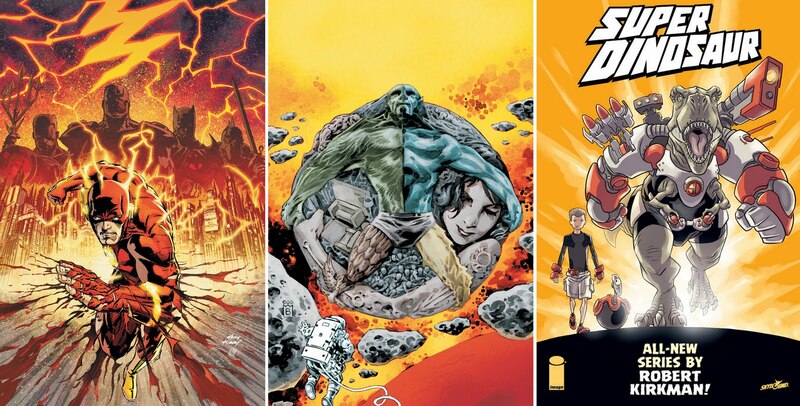 Now a few of the brands creative best are getting in behind this 80-pager, including the 100 Bullets creative team of Brian Azzarello and Eduardo Risso, who use one of the eight sci-fi stories to debut their upcoming series Spaceman! 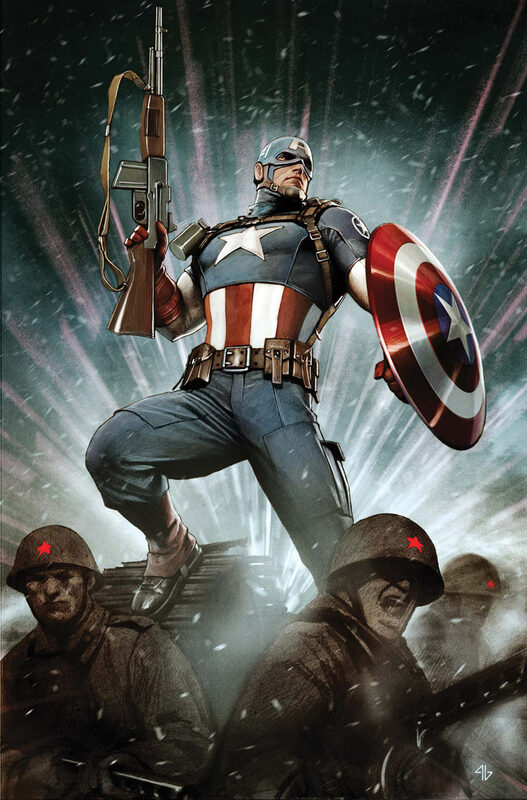 SILK SPECTRE: (Stops traffic with looks alone) ASTONISHING CAPTAIN AMERICA #1 (of 5) (Marvel) Cap may be one of Marvel’s most over exposed flavours at the moment, but even those whose tummies are fit to burst will freak at the idea of a whole mini-series illustrated by cover artist Adi Granov! Throw in generous amounts of global warfare and a kidnapped space station, and you just may have the best looking "Cold War" ever. I loved reading this. What a great idea. Thanks for the great feedback Craig! I wanted to do something different than just tease next months comics, so I'm glad my little bout of quirky paid off!